"Love makes us such fools." 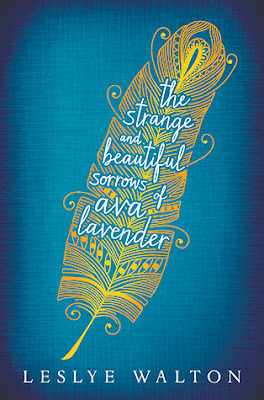 I just finished this book, and I have that bookish hangover, that feeling of wanting more and yearning to know what happens to the characters in the rest of their lives that isn't documented in the book, of not wanting the story to end because then it means you can't inhabit the world of the characters anymore. And I didn't expect a bookish hangover with this one; I almost didn't pick it up at the library. But I had seen it pop up on review sites and decided to give it a shot. And I'm so glad I did! This book is indeed full of strangeness and sorrow, with a sprinkling of magical realism reminiscent of Latin American literature. I recently read a Neil Gaiman book that was a modern-day fantasy, but it was borderline creepy. It had this dark aura to it. This book, though tragic in parts, was hopeful and lovely. At certain parts, I had to re-read it to make sure I understood what just happened; it just seemed far-fetched. But then I excepted it, and it became much more magical. The characters were well-developed, the writing was perfectly poetic, the story was paced just right (you could really savor it), and the details were spot-on. In fact, the details in this book make it feel possible, and it reads like historical fiction for parts of it as you follow the Lavender family from France to America through the generations. "Neither...stopped to ponder the miracle love might bring into their lives. Conner, because he didn't know such things existed, and Emilienne because she did." "Happiness had a pungent scent, like the sourest lime or lemon. Broken hearts smelled surprisingly sweet. Sadness filled the air with a salty, sea-like redolence." "Emilienne welcomed him in because, upon opening the door, she heard a birdsong rising from the east, announcing good love's arrival." "She wrapped her heart in its burial shroud once again." "Those born under Pacific Northwest skies are like daffodils: they can achieve beauty only after a long, cold sulk in the rain." "It was as if Henry carried the world, misshapen and imperfect, in his lovely wide pupils."